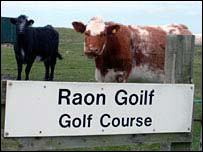 Residents on South Uist have received £2m in lottery funding towards a community buyout of the island group. 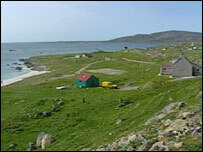 A fee of £4.5m has been set for the sprawling South Uist Estate which also includes Eriskay and part of Benbecula. Community leaders said the Big Lottery Fund award was a "huge boost" and they believe that the 93,000-acre estate will be theirs by the end of the month. If the sale goes ahead it would be the largest community buyout of land in Scotland. The buyout has been launched by Sealladh na Beinne Moire (The Vision for the Islands). The group is made up of 3,500 estate residents. They feel the area is not being exploited to the benefit of the community and want to boost its economy. The group is also hopeful of a further £2m from Highlands and Islands Enterprise, the board if which meets later this month and they have further pledges from Scottish Natural Heritage and the islands council. Angus MacMillan, chairman of Sealladh na Beinne Moire, said they were "absolutely delighted" to have been awarded the lottery funding. "We believe that the community ownership of South Uist, Benbecula, and Eriskay presents us with a unique opportunity to develop appropriately the resources that we have." "Over the years to come, we will seek to determine the sustainable economic regeneration of these islands, using every means at our disposal." Dharmendra Kanani, Scotland director of the Big Lottery Fund, said: "This is about taking community land ownership back to its roots. "We also want to give communities more power over their lives to help them become stronger, with shared aspirations and the ability to achieve these together." Angus MacNeil, Scottish National Party MP for the Western Isles, said Sealladh na Beinne Moire should be applauded for what it had achieved so far. He said: "This is a feather in the cap for all those who have been working hard behind the scenes over the past couple of years to make this achievable. "This award is nearly the final piece of the jigsaw that will see the largest community buyout of its kind in Scotland."